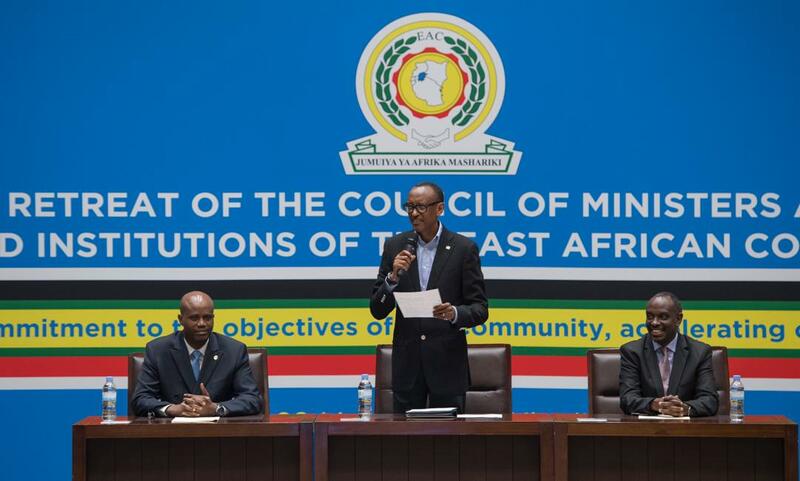 Rwanda’s President Paul Kagame today opened the second Strategic Retreat of the Council of Ministers and Heads of Organs and Institutions of the East African Community (EAC), with a renewed sense of working towards regional integrity. 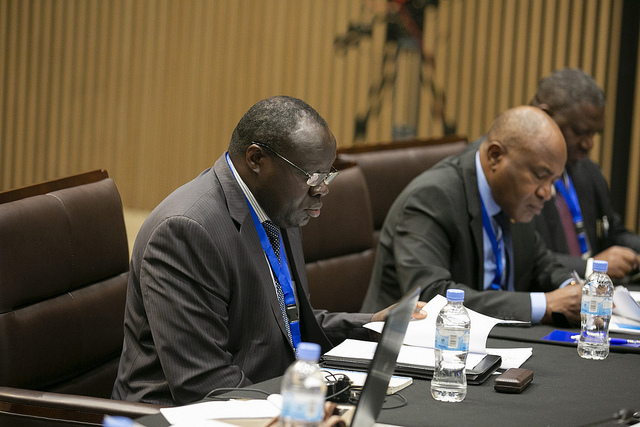 The one-day meeting which convened in Kigali city follows an earlier one which was held in the same city ten years ago, with a resolve towards better integration policies. 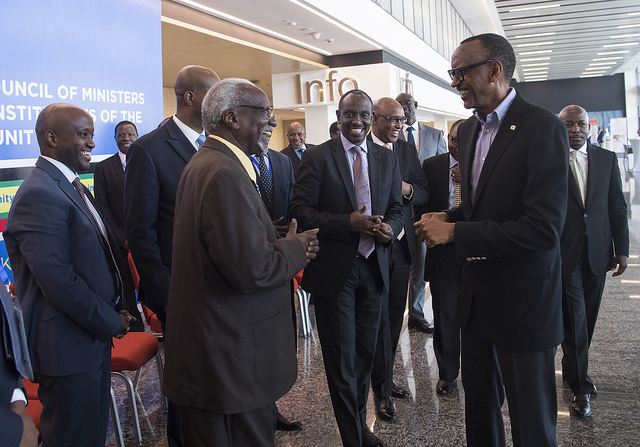 President Kagame, who is also Chairperson of the Summit of EAC Heads of State, said that the same spirit from the earlier meeting has to be maintained if the community is to achieve simple components of integration. Despite this resolve, the community continues to face challenges of free movement, blockage of trade as a result of non-traffic barriers, low political will to implement major infrastructure projects and worse of all, failure to meet EAC budget needs. “We urgently need to get our house in order, both in terms of ownership, which includes paying our respective dues as well as enhancing transparency and accountability in the management of the institution,” Kagame said. Kagame, who asked the retreat to first of all relax and think calmly in order to change the current face of EAC integration, said that there is need to unblock obstacles in ongoing projects and pave way to finish the good work started as a bloc. As a starting point of getting EAC integration right and achieving its ambitions, Kagame hinted that the community has to begin with solving simple issues and having just a little more than political will, for example on budget contributions and open borders. “There is nothing wrong with being ambitious. 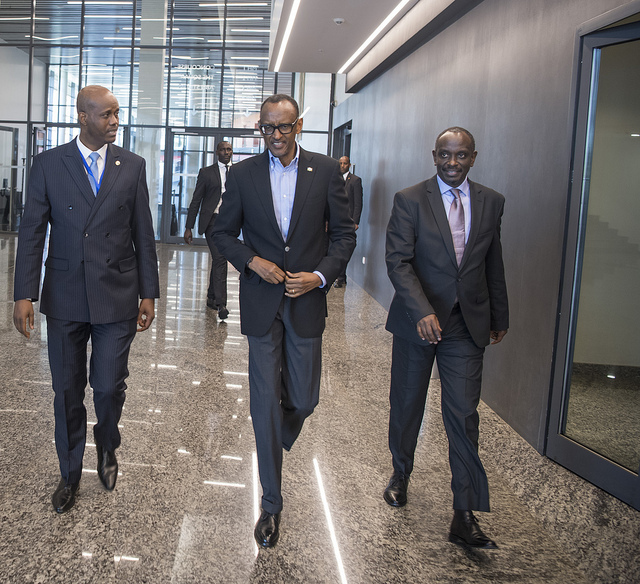 There is so much more to do, but we cannot start to tackle the bigger, more complex processes when we are still struggling with basic issues,” Kagame said. Each EAC State is obliged to contribute slightly over $8.3 million per financial year and the remittances are expected December 31st of every fiscal year. EAC figures which KTPress has had access to in 2018 indicate that some states lag behind with arrears which compelled the East African Legislative Assembly (EALA) to cut its next 2018/2019 Financial Year (FY) budget by $10 million lower, revised to $99.7 million, from $110 million in 2017/18. In FY2016-2017, $8,378,108 needed from Burundi, it had contributed zero U.S dollars and also had arrears of $771,037 from the previous fiscal year. Remittances from Uganda were highest with 91.53% ($7,668,419), followed by Kenya at 52.4% ($4,395,707), Rwanda at 48.07% ($4,027,316) and Tanzania at 30.47% with $2.553.203. In the fiscal year 2017/18, Tanzania come out strong with 100% contributions ($8,343,963) followed by Kenya 97% ($8,080,737), and Rwanda improving to 83% with $6,974,766, while Uganda stepped backwards three places with 79% ($6,611,994). But Burundi continued with a 0% contribution plus an arrear of $530,934 ending up with largest outstanding arrears of $8,902,021, while had a 12% contribution $999,970 and 2nd outstanding balance of 7371117. Tanzania had the lowest outstanding balances of $22,125, followed by Kenya $290,350, while Uganda had $1,759,093 and Rwanda had $1,396,321 making the total outstanding balances stand at $19,741,027. The current contribution stands at 45%. With more than 50% of EAC budget coming from donors, low contribution by States has led to the slowdown of operations for the community secretariat and its legislative assembly, according to EAC Secretary General, Ambassador Dr. Libérat Mfumukeko. The SG said that the secretariat has been compelled to cut on number of meetings to 25% as a way of reducing travels expenses and resorting to video conferencing. The fiscal year (FY) 2014/15 travel expenses stood at ($19million) and dropped to $11million in FY2016/17. Implementation of these reforms reduced the EAC budget by 42%, Mfumukeko revealed. “This has watered down the integration process which already faces challenges that hinder the realization of our vision, this includes noncompliance with signed protocols, restrained free movement of persons, which affect the people despite adjustments at customs,” Mfumukeko said. The EAC, which now has six member states and many more applications from northern horn of Africa, will soon celebrate its 20th anniversary of the renewal of the EAC. Kagame said that getting these things right, and steering the Community in the right direction is the best gift we can give the citizens of East Africa. Participants at the retreat will adopt a report containing recommendations and the timeline of their implementation. The report will be submitted to the Council of Ministers and to EAC organs and institutions for consideration and implementation. The Chairperson of the Council will present a progress report at every EAC summit.